You are here: Home › Chuck Steak › Chuck Steak, Out Now! ← I’m the Agent Now! What if an author watched too many action movies as a kid? Too many movies in general as a teen? And too much Netflix as an adult? What if the author also played too many video games? And watched too much YouTube, especially those “Everything Wrong With…” videos? What if one of the author’s favorite movies was Terminator 2? And Scream? And V for Vendetta? And Saw? Would you ask what part since there were 43? What if the author told you they wanted to combine all of these ideas from all the movies listed above (and more) and turn them into a single idea? Would you say, “Hey, you never answered me regarding the Saw question”? Would you accept that sometimes we just have to move on? Would you let an author finish? Especially when the author continued and told you that they wanted to turn that idea into a short story? What if they turned the short story into a novel? Then they rewrote the novel? Then they planned a trilogy? Do you even understand what is happening right now? Do you know that not all who wander are lost? Are you sick and tired of the same old poop traditional publishing keeps smearing across your bookstore shelves? Do you even bookstore, bro? No? Then do you even Kindle, bro? Sis? Bris? Do you crave action, but want more plot? More sense? More heart? More equality? More diversity? More substance, less words? More games, less footnotes? More big bads and less henchmen? How about no henchmen? How about an action story with hardly any guns? Does that sound like 2018 or what? How about we keep the explosions and fists and one weedwhacker? We wouldn’t want to deprave a good story of blood or severed limbs, would we? How does this all sound? Good? Decent? Bad? Okay? 5 star worthy? Or 1 thumbs up worthy? Or 10 rockets? Or 6 dogs? 9 Cats? What’s your freaking scale? Are you upset with being asked 51 questions (including this one)? 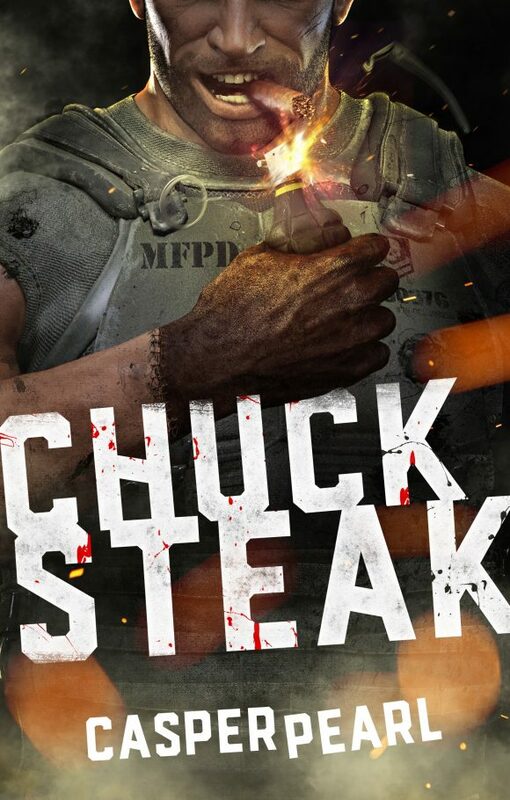 Then go check out Chuck Steak, read it in its entirety, and leave a review. Show me who’s the boss, why don’t you?